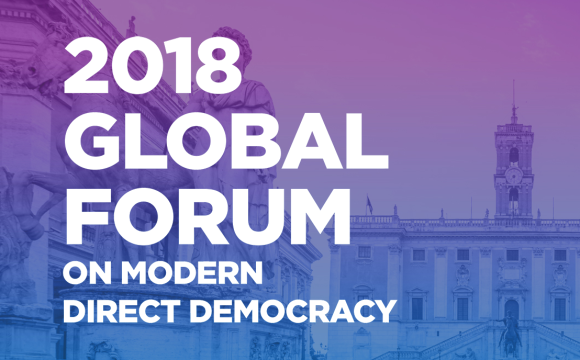 On September 26-29, Rome will host the ​2018 Global Forum on Modern Direct Democracy. The Global Forum, currently in the seventh edition after the events held in Switzerland, Korea, California, Uruguay, Tunisia and the Netherlands, is based on sharing and debate. Participants share knowledge and experiences about their cities with the objective of identifying the best practices for local democracy. Next Friday, Sept. 28, Alfonso Molina, Scientific Director of the Fondazione Mondo Digitale, will participate in the workshop on Digital Competences and Participation – The Experience of Rome [see full programme]. Public administrators and communication experts will address participation and new technologies, digital competences and how to contrast the digital divide, as strategic factors for the effective participation of citizens in public life. The “Punti Roma Facile” Project, which will be presented at the forum, is based on the network of assistance points that the Council of Rome provides to citizens to promote the use of new technologies and simplify relations with the public administration. Alfonso Molina, Scientific Director, Fondazione Mondo Digitale; Elena De Sanctis, Attilio Giannone, Roy Andrea Guido (Rome, District 7), Emma Pietrafesa (Stati Generali dell’Innovazione), Nathan Gardels (Berggruen Institute – The World Post), Giovanni Allegretti (Universidade de Coimbra), and Angelo Sturni (Rome).